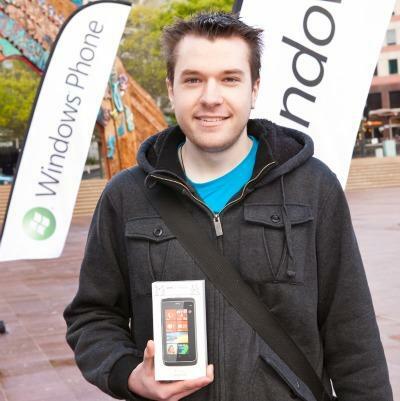 The first Microsoft Phone 7 sold in the world was to a New Zealander. This news warranted two exclamation marks in the heading of a breathless press release sent out by the PR agency. It was accompanied by a photo (see below) of the “lucky” punter – Jourdan Templeton – who “is very excited about being the first in world”. What the press release didn’t mention, but what a simple Google search revealed, is that Templeton is a Student Partner at Microsoft. “Could they not have found someone a little less close to ‘the family’ than him?” queried our tipster. 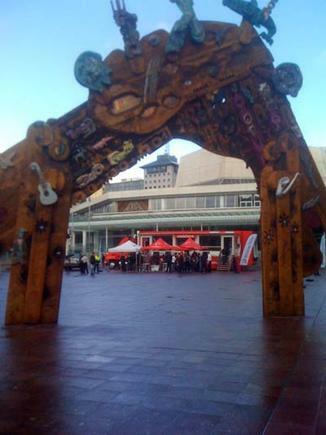 Clearly our tipster had not been present at the exciting launch event at 8am in Aotea Square, Auckland. Computerworld was there and tweeted this at 8.34am. As an aside, it is reassuring to note that the newly-refurbished Aotea Square didn’t collapse under the weight of Vodafone’s promo truck. Here are a couple of reasons why Microsoft is going to be finding it tough in the smartphone market - iPad and iPhone. It's the sound of the Telecommunications Industry Group crashing and burning. 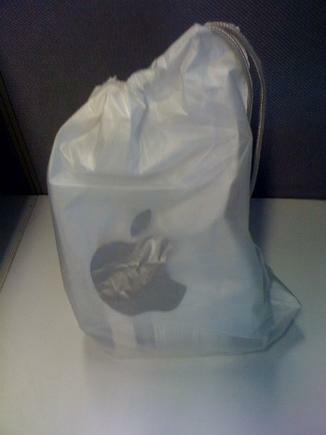 Inside the bag in the photo below (taken on an iPhone, of course) is the new Apple TV product. Apple company representative Marcus Annett spent an hour today briefing Computerworld on the product. Annett says it is only available in US, Canada, UK, Germany, France, Australia and New Zealand. He says on an ADSL connection it should take about 30 seconds to download a movie from the iTunes store – and if it is in HDTV it should gobble up about 4.5GB from your data cap (about 1.3GBs for standard definition TV). In Australia Apple has a deal with ISP iiNet for zero-rated content, but Annett says he knows of no conversations with ISPs in New Zealand. So is it worth the decimating the data cap this Labour weekend? Let you know next week.